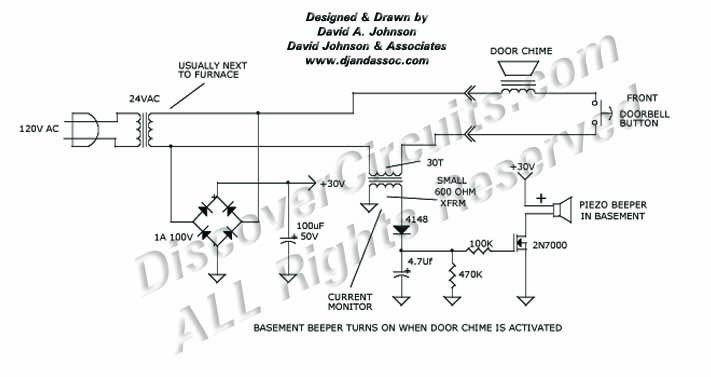 Circuit: BASEMENT DOORBELL BEEPER__ Circuit designed by David A. Johnson, P.E. If you can't hear your doorbell when you are in your basement try this circuit. This circuit takes advantage of the 24vac power source located near the furnace. Using a simple current transformer technique, the circuit sounds a beeper whenever the main door chime is activated.